Scientists at the University of North Carolina Lineberger Comprehensive Cancer Center discovered a technique to make pancreatic cancer cells reliant on one energy source and then starve them of it — a finding that has led to clinical studies of a novel treatment strategy for one of the deadliest cancers. 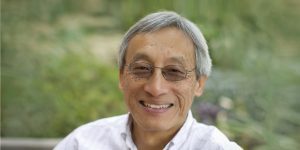 Published in the journal Nature Medicine, researchers from UNC Lineberger and other collaborating institutions report promising results from early laboratory studies of a treatment strategy that forces pancreatic cancer to rely on a type of energy production called autophagy, also known as “self-eating,” in which cells recycle their own parts for energy. Their preclinical studies demonstrated the benefit of combining a treatment that forces the cells to rely more heavily on autophagy with another compound that can indirectly block that same energy pathway once they are reliant on it for fuel. Based on these findings, researchers at the University of Texas M.D. Anderson Cancer Center are planning a clinical trial of two medications to test this strategy in pancreatic cancer patients. The project is supported by a dual institution grant from the Pancreatic Cancer Action Network (PanCAN). Similar findings from researchers at the Huntsman Cancer Institute, published simultaneously in a Letter in Nature Medicine, have also led to clinical trials. Pancreatic cancer is one of the deadliest cancers, with just 8.5 percent of patients in the United States living five years after diagnosis, according to the National Cancer Institute. Researchers have known that a mutation in the KRAS gene is a critical driver of this cancer, but treatments that directly target the mutated gene’s effects have remained elusive. Finding ways to cut off the energy source for this cancer is one of the major directions for pancreatic cancer research. Previously, researchers found that autophagy is increased in pancreatic cancers with the KRAS mutation. This led to trials to test the use of the compound hydroxychloroquine, which can indirectly block autophagy. But Der said the drug alone has had limited efficacy, and it’s possible that the cancer cells could adapt to use other energy sources. Researchers want to make autophagy inhibitors more effective. In their laboratory studies in mice and human cells published in Nature Medicine, Der’s team found that blocking the KRAS gene actually increased dependence on autophagy. When they combined a compound designed to block downstream signals of the KRAS gene with the compound that can indirectly block autophagy, they saw increased efficacy compared to either drug used alone. They also discovered why the combination is synergistic: blocking signals downstream of KRAS seems to impair other energy production processes, such as glycolysis, forcing cells to rely on the recycling, or the “self-eating” associated with autophagy. “It’s always nice to have an understanding for why a therapy works because we can then improve it,” he said. UNC Lineberger’s Kirsten Bryant, PhD, a research assistant professor and the study’s first author, said additional questions remain. Clinical studies are needed to determine if the treatment is tolerated and effective for patients. She stressed cautious optimism about the findings, but added she was heartened that a second research group made a similar finding – especially when reproducibility of scientific findings can be difficult. Bryant began her work after losing her father to pancreatic cancer. He had exhausted current treatments and was left with no other options. 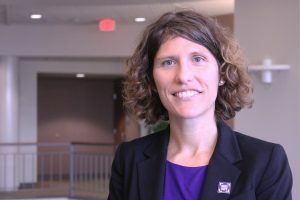 Through her research, she began a search for other options, and has been grateful to work on a project that might help patients in the future. In addition to Bryant and Der, other authors include: Clint A. Stalnecker, Daniel Zeitouni, Jennifer E. Klomp, Sen Peng, Andrey P. Tikunov, Venugopal Gunda, Mariaelena Pierobon, Andrew M. Waters, Samuel D. George, Garima Tomar, Bjoern Papke, G. Aaron Hobbs, Liang Yan, Tikvah K. Hayes, J. Nathaniel Diehl, Gennifer Goode, Nina V. Chaika, Yingxue Wang, Guo-Fang Zhang, Agnieszka K. Witkiewicz, Erik S. Knudsen, Emanuel F. Petricoin III, Pankaj K. Singh, Jeffrey M. Macdonald, Nhan L. Tran, Costas A. Lyssiotis, Haoqiang Ying, Alec C. Kimmelman, and Adrienne D. Cox. The research was funded by the National Cancer Institute, the U.S. Department of Defense, the Lustgarten Foundation, and PanCAN/American Association for Cancer Research (AACR). Individual researchers were supported by the NCI, PanCAN/AACR, American Cancer Society and the Deutsche Forschungsgemeinschaft. Conflict of interest: Kimmelman has financial interests in Vescor Therapeutics LLC; is an inventor on patents pertaining to KRAS-regulated metabolic pathways, redox control pathways in pancreatic cancer, targeting GOT1 as a therapeutic approach, and the autophagic control of iron metabolism; and is on the scientific advisory board of Cornerstone/Rafael Pharmaceuticals.